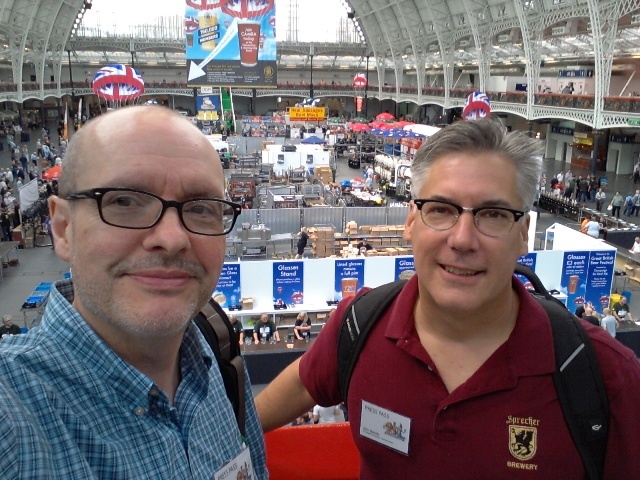 Owen Ogletree and Don Beistle's list of beers tasted at the 2013 Great British Beer Festival (GBBF) in London England UK. · ARKELL'S, BRAMLING X 4.2 Single hop varietal gives spicy blackcurrant notes. · BALLARD'S, MIDHURST MILD 3.5 Traditional dark mild, well balanced, refreshing with a biscuity flavour. · BANK TOP, DARK MILD 4 Rich malt and toffee flavours with bitter finish. · BELVOIR, DARK HORSE MILD 3.4 Classic smooth mild with full bodied flavours. · BEWDLEY, WORCESTERSHIRE WAY 3.6 A very refreshing session beer with citrus aftertones. · BRAINS, DARK Smooth, drinkable, clean mild ale. · BRISTOL BEER FACTORY, SUNRISE 4.4 Biscuit malt and lemon-flavoured Pioneer hops. · BUNTINGFORD, TWITCHELL Well-made, delicious, award-winning ale. · BURTON BRIDGE, XL MILD 4 Classic sulphurous Burton aroma with fruit and hops in the taste and characteristic finish. · BUTTS, BARBUS BARBUS 4.6 Quite fruity and earthy. · CASTLE ROCK, BLACK GOLD 3.5 Dark mild with hints of caramel and fruit balance by bitterness. 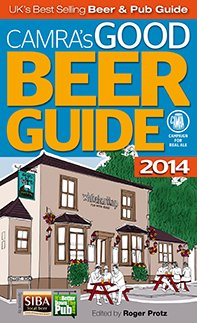 · CERDDIN, CWRW TRI 4.5 A dark coloured beer with a toffee and coffee taste, with Fuggles and Goldings hops. · CONISTON, OLIVERS LIGHT ALE 3.4 Light mild with subtle Goldings hop flavour. · COUNTRY LIFE, POT WALLOP 4.4 Very light straw coloured, easy drinking. · CROUCH VALE, CITRA 3.9 Refreshing zesty aromas top off a pale, light biscuity body with combined sweetness and bitterness. · DOGHOUSE, MILD 3.5 A traditional Mild, brewed with Mild Ale and Chocolate malt, Challenger and Fuggles hops. · ELLAND, 1872 PORTER Grand Champion Beer of Britain 2013 - An amazing, classic porter. · FARMER'S, A DROP OF NELSON'S BLOOD 3.6 Full-bodied beer, initially sweet, with hops and malt but, becoming very bitter in the aftertaste. · FLOWERPOTS, ELDER ALE 3.8 A dry beer, very light in colour with a hint of elderflower. · FULLERS, VINTAGE ALE 2013 Malty, toffee-like and warming. · FYNE ALES, JARL Well-made, delicious, award-winning ale. · GREAT ORME, WELSH BLACK 4 Large amount of chocolate malt gives a velvety smooth rich coffee finish. · GREEN KING, IPA RESERVE Malty with a moderate hop backbone. · GROWLER BREWERY, NETHERGATE, UMBEL MAGNA 5 Smooth, creamy porter infused with coriander. · HAWKSHEAD, RED ALE Malty red ale with notes of butterscotch. · HOBSONS, BEST BITTER 3.8 A medium-bodied beer with strong hop character throughout. Bitter, but with malt discernible in the taste. · HOGS BACK, ENGLISH SUMMER ALE 3.9 Clean, slightly dry on the palate, bags of hop flavours at the finish without lingering for too long in the mouth. · ILKLEY, JOSHUA JANE 4 A highly hopped golden ale with a strong, bitter finish. 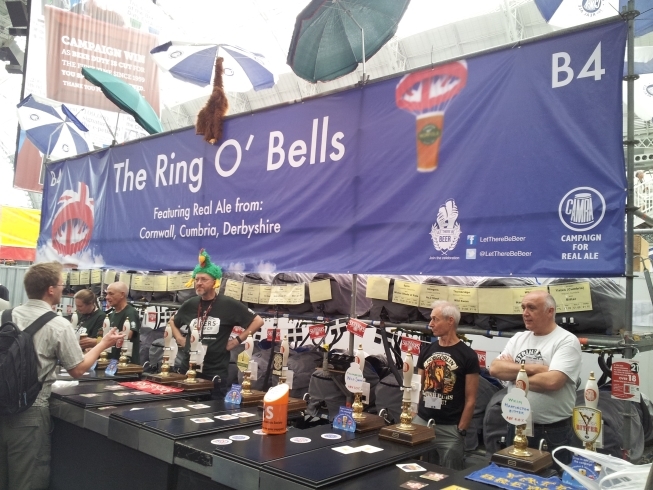 · JENNINGS, SHEEP THRILLS 3.9 Smooth and creamy, light refreshing ale brewed using pinhead oats. · MIGHTY OAK, OSCAR WILDE 3.7 Roasty dark mild with suggestions of forest fruits and dark chocolate, the sweet taste yields to a more bitter finish. · MILTON, PEGASUS 4.1 Malty aroma and flavour balanced with some kiwi fruit and faint toffee. Pleasing dry aftertaste. · MOLES, TAP BITTER 3.5 A session bitter with a smooth, malty flavour and clean bitter finish. · MOORHOUSE'S, BLACK CAT 3.4 A dark mild-style beer with delicate chocolate and coffee roast flavours and a crisp, bitter finish. · PROSPECT, WHATEVER 3.8 Pale bitter packed with hop flavour and aroma. · PURPLE MOOSE, GLASLYN ALE 4.2 Plenty of hop in the aroma and taste. Good smooth mouthfeel leading to a slightly chewy finish. · RUDGATE, RUBY MILD 4.4 Nutty, rich ruby ale, stronger than usual for a mild. · SALAMANDER, MUDPUPPY 4.2 A hoppy fruitiness dominates this beer. A fruity nose gives way to a pleasant nutty character. · SALOPIAN, ORACLE 4 A crisp golden ale with a striking hop profile. Dry and refreshing with a long-balanced aromatic finish. · SAWBRIDGEWORTH, MANOR MILD 3.4 A traditional mild. · SHEPHERD NEAME, GOLDINGS Beautiful ale with pleasant Goldings hop aroma and flavor. · ST AUSTELL, TRELAWNY 3.8 Peach and apricot aroma with a toasted biscuit flavour balanced by a tangy hop bitterness. · ST AUSTELL, TRIBUTE 4.2 Pale brown ale. The aroma is of malt and fruity Oregon hops, with a balance of malt and hoppy bitterness in the mouth. · ST. AUSTELL, PROPER JOB A classic Cornish cask ale - beautiful and well balanced in every way. · THORNBRIDGE, WILD SWAN 3.5 Plenty of lemony citrus hop flavour, becoming increasingly dry and bitter in the finish and aftertaste. · THREE TUNS, 1642 3.8 Light, nutty maltiness and spicy bitterness. · THWAITES, LITTLE BEWDY 4.2 Pale ale brewed with Australian hops. Floral hop aroma and mellow hop character. · TRIPLE FFF, ALTON'S PRIDE 3.8 Floral hop aroma; initial malty flavour fades as citrus and hops take over, leading to a hoppy, bitter finish. · VALE, BLACK SWAN DARK MILD 3.9 Dark and smooth beer. · WALLS, SUMMER GOLD 3.6 A refreshing golden coloured ale, citrus in flavour. · WOODLANDS, MILD 3.5 A creamy, rich mild. · WYE VALLEY, DOROTHY GOODBODY'S MEADOW QUEEN 4.3 Brewed with Meadowsweet - a sweet-smelling herb with delicate creamy-white flowers. · YATES' (IOW), SUN FIRE 4.3 Amber/orange in colour with a citrus, floral aroma.